Courtesy of Adherbal de Oliveira, Travessia do Leme ao Pontal, Brazil. 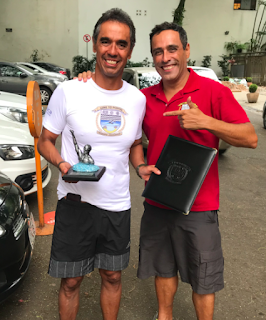 Cesar Saade Jr. is a Brazilian open water swimmer who became the first swimmer from the state of Espírito Santo to complete the 36 km crossing of Leme to Pontal in 8 hours 53 minutes. His swim set the new record for a solo swimmer without neoprene under the auspices of the Leme to Pontal Swimming Association (LPSA). Adherbal de Oliveira explained, "On October 2nd, Saade made history by becoming the first swim from the state of Espírito Santo to complete the crossing of Leme to Pontal, the largest and most beautiful crossing in Brazil. 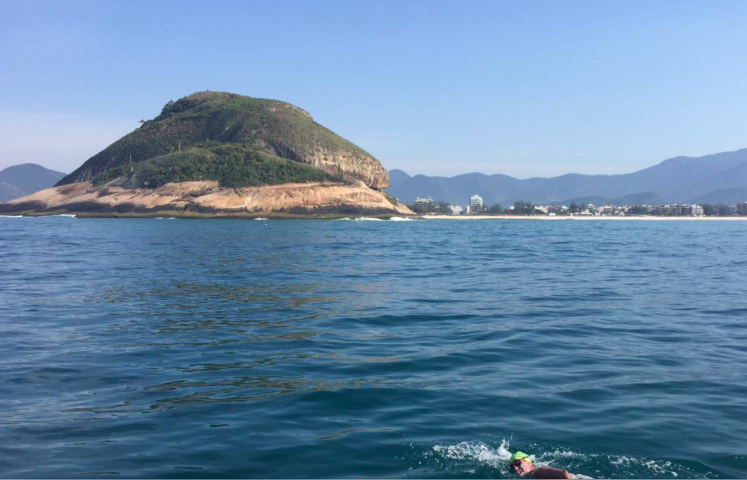 The 52-year-old swimmer finished the beautiful course that runs 36 km along much of the edge of Rio de Janeiro, setting the new record for the solo without neoprene. Saade began swimming at 11:00 pm on October 1st. During the night, he was able to observe the beauty of the illumination of the sights of the city of Rio de Janeiro, such as Christ the Redeemer and Sugarloaf Mountain." The Leme to Pontal crossing is governed by the Leme to Pontal Swimming Association whose function is to guide the athletes and carry out the entire bureaucratic procedure, as well as organize and paying the human and material resources that enable swimmers to complete swimming safely." The Leme to Pontal Swimming Association is shown here or request registration through secretary@swimlpsa.com.br.